What is the use of the "we" and "wi" kana? Previous: Is there a kana symbol for ye or yi? Next: Is there a mnemonic for remembering the order of kana signs? Although kana for wi and we exist, namely hiragana ゐ and ゑ, and katakana ヰ and ヱ, they are not used in modern Japanese writing. These kana exist because the sounds they represent existed in Japanese at the time the kana were created. See How did katakana and hiragana originate? for more on the origin of the kana. After the "we" and "wi" sounds disappeared from the language, the we and wi kana continued to be used to represent e and i, until the writing system was reformed in the 1940s. See What is historical kana usage? for details of this historical writing system. Although the we and wi kana are hardly ever used any more, they do have a few uses. One system of representing "v" sounds used dakuten marks on the wa, wi, we, and wo katakana. There is no "wu" kana, so this element is missing from the list. This system is represented in Unicode: ヷヸヹヺ. Modern Japanese either uses ba, bi, bu, be, bo or ヴ (katakana u with a dakuten) plus small vowels to represent the v sound, for example ヴァイオリン for violin. See also How do I write an English word in Japanese? for more on how English sounds are represented in Japanese. The wi and we kana are also sometimes used to write brand names. 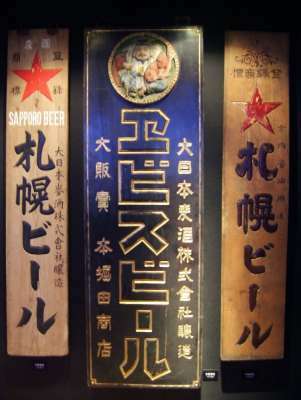 For example "Nikka whisky" is ニッカウヰスキ, Nikka uwisuki and Yebisu beer is ヱビスビール, "Webisu biiru". See also Is there a kana symbol for ye or yi? To enter these characters on a computer, type we or wi, and then use the henkan function. See How can I input small kana like ぃ, っ and ょ, or づ on a computer? for more on ways to input various kana and symbols.